Serious by nature, Amit Mimani is a thorough professional and believes in focusing on substance. When a deal is in the works, Amit Mimani forgets about the rest of the world and focuses on it completely. So much so that during one of the deals in 2009, he stayed away from his family on three important occasions -- his wedding anniversary, his wife's birthday and his own. "The worse part was that the deal did not go through," he says. But if a transaction goes through, it gives him a kick. "For M&A bankers it does not happen very often, and it is best to take your chances and convert (the deal)," he says. Mimani has since made efforts to spend quality time with his family, but does feel that his profession has an impact on his personal life. However, down the years, as he has grown in his profession, he has allowed himself certain liberties. Serious by nature, Mimani is a thorough professional and believes in focusing on substance. "I am the nuts and bolts person." But there is a lot more to a deal that he works on. "M&A is like delivering a baby and has a gestation period of six to 12, even 18 months these days," he says, adding that it is not a product that gives instant gratification. The process is quite stressful, especially the negotiations at the tail end when corporate egos are involved. Though Mimani does not idolise anyone in particular, he is fascinated by people who stretch themselves, just like him. He also believes that he is an honest person and the best thing that he brings to the table is honest advice. One thing he has learnt over the years is to respond instead of reacting, and be patient, which wasn't the case during his college days. "Not like I was born to do M&A," says Mimani, who was always interested in finance. His association with M&A started early in his professional life, and having spent four to five years in the filed, he chose to continue with it. Coming from a family of businessmen, Mimani was the first to take up a job. 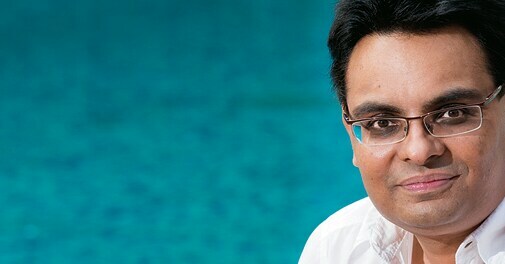 He studied management at IIM Calcutta after completing his chartered accountancy. "Ninety-five per cent of my family wouldn't have even thought of it," says Mimani, who is a single child and had supportive parents. And like his parents, Mimani is supportive of his juniors as well. He considers himself quite approachable and says his juniors can come up and talk to him freely. And, what does he think about the current economic scenario? Mimani sounds quite optimistic about the long-term economic scenario and thinks there will soon be a turnaround. "Maybe we will go through an even tougher phase before we bounce back. Maybe 2014 will be worse than 2013, so then in 2015 we can set ourselves for a massive recovery."